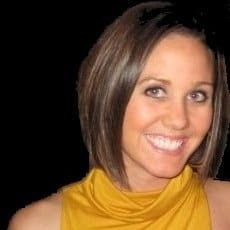 Holly Short has joined the National Thoroughbred Racing Association in the newly created position of Digital Marketing Manager. The Kentucky native previously served as Director of Operations for Lexington-based tech marketing firm Blue Million LLC, which designed and built the latest version of NTRA.com in 2015. Prior to Blue Million, Short was part of the startup team that created iHigh.com, a digital television platform and online network. She was named General Manager of iHigh.com in 2013 after the company landed a nearly $12 million investment from Cox Media Group. In addition to the NTRA, clients of Short’s at Blue Million from the Thoroughbred racing world included the Thoroughbred Owners and Breeders Association, the National Horsemen’s Benevolent and Protective Association, the Racing Medication & Testing Consortium, and the US Godolphin Awards. Other prominent accounts she managed included Coca-Cola, Chevrolet, and Wrangler.